First published in 1999, this volume why Europe’s arguably most successful political party, the Swedish Social Democratic Party, become so divided over European integration. Why were its grass-roots so reluctant to embrace EU membership and why did a Social Democratic government decide to stand aside from the launch of the single European currency? What connection is there between Europe and the Swedish model of political economy? While much has been written in English on Swedish Social Democracy, little of this literature has dealt with its difficulties during the 1990s and especially with its acute problems over Europe. This book fills that gap. Using original, primary data, Nicholas Aylott addresses the topic from macro and micro-political perspectives, taking account of historical, cultural, geopolitical and economic constraints, but also the interests and calculations of key individuals at critical junctures. 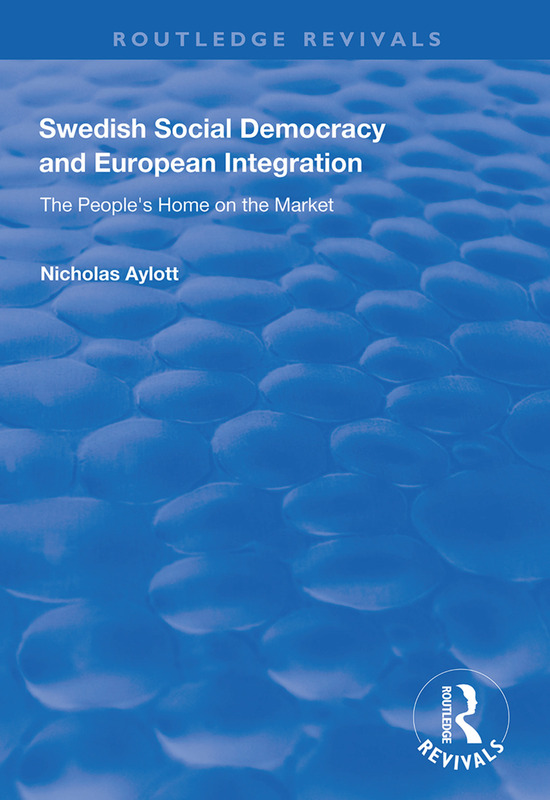 It places the experience of Swedish Social Democracy into a broad comparative framework, drawing especially from the experiences of its Scandinavian sister parties. Up-to-date analysis of the party’s debate on EMU is included.